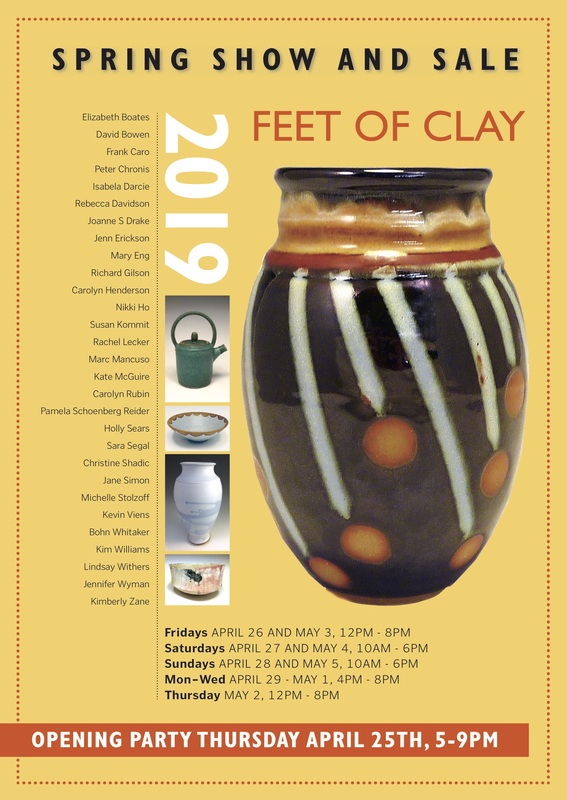 Follow us on Instagram and on Facebook @feetofclaypottery to see previews of the participating artists and their work! Feet of Clay is a cooperatively run pottery studio with a large and well-equipped studio space that is shared by a diverse group of ceramic artists and potters. Whether you’re an experienced potter looking for studio space or a beginner interested in learning how to hand-build or wheel-throw, Feet of Clay has everything you need to start working with clay today! Twice a year Feet of Clay opens its doors and transforms its studio spaces into a gallery setting. This exhibition and sale features the work of 36 artists, some sculptural, some functional, and everything in between! You will not regret seeing the beautiful work of Boston artists. To receive an invitation to our shows click here. We offer classes for all experience levels, as well as affordable membership complete with wheels, kilns, clay, glazes, tools, a photo booth, spray booth, a slab roller, and more. Winter guide: Feet of Clay cancels classes when Brookline declares a snow emergency. No parking is allowed during a snow emergency. To find out if there is parking in Brookline call the Brookline Department of Public Works at (617) 730-2610.